Congratulations to Mr & Mrs Beckett who were Married today. 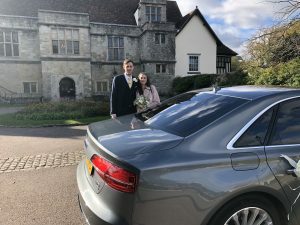 The happy couple were Chauffeured in style in the Grey Audi A8lwb from Nettlestead in Maidstone to the Archbishops Palace then onto the Bull in West Malling for their Reception. 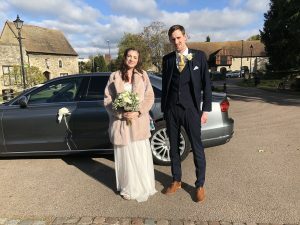 The Couple choose our Crystal package and were so happy with the service.